Up until the release of the I-Torch Symbiosis, underwater lights were divided into two types – Strobes or constant LED video lights. The Symbiosis continues to be a bold attempt to combine the two and create a single all-in-one light. 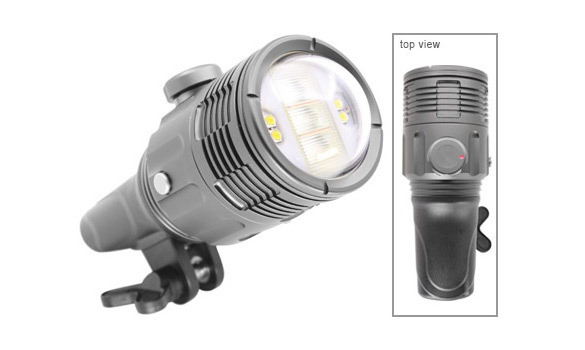 This new model SS-03 Video Strobe features three flash tubes surrounded by with a strong 2800 lumen video light. The battery is shared between the two light elements, and the brains inside allow you to control everything through one Push Button and Power Dial on the top of the Light Head. Modes: Video Light Only, Red Light Only, Video Light w/Flash, Red Light w/Flash, Off.